The Delta boasts a sleek, space-saving design popular with schools, churches, and other public buildings. The Delta inclined platform lift carries a passenger with wheelchair up and down a single flight of straight stairs by travelling along a rail system mounted alongside the stairs. Suitable for home or commercial applications, this lift is well-suited to environments where an elevator or vertical lift cannot be easily accommodated. Motor is housed on board the unit, with no need for a machine room. 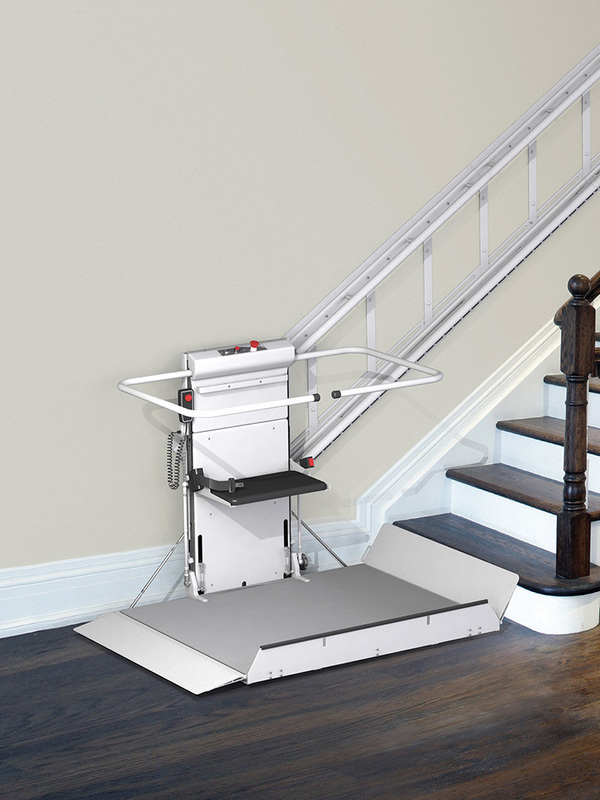 Folding platform (available in ADA-compliant size) allows easy access to stairs when the lift is not being used. System is battery-powered, allowing it to operate through a power failure.